Someday soon you'll be able to check your balance, reward points, and even recent transactions all from a glance at your credit card. MasterCard has announced the launch of its 'Display Card,' which features the kind of technology normally associated with a smart phone or tablet computer. 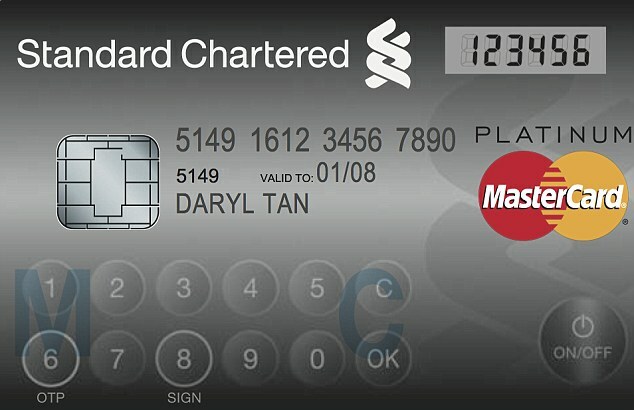 The new card, which has already been introduced in Singapore, features an LCD screen and touch sensitive buttons but will still fit into your wallet. Many banks now issue a separate authentication token for online banking services, particularly high-risk transactions, such as payments or transfers above a certain amount, adding payees or changing personal details. 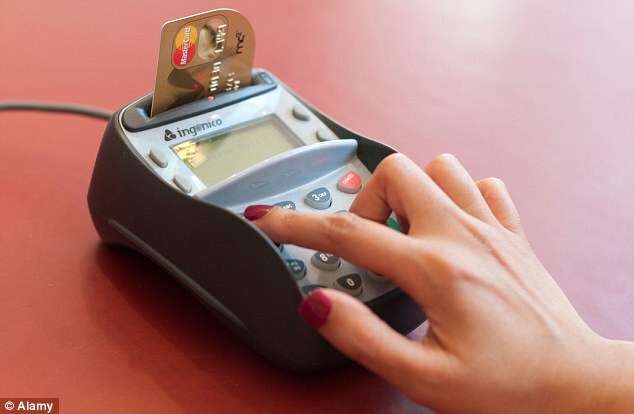 The Display Card would hence eliminate the need to carry a separate authentication device. 'In future, this card could incorporate additional functionalities and be able to indicate other real time information such as available credit balance, loyalty or reward points, recent transactions, and other interactive information,' the statement noted. MasterCard isn't the first company to develop a smarter credit card. Visa announced it was developing a card with similar features in 2012, but a next-generation model from that company has yet to be made widely available. Earlier this month, a series of screenshots leaked hinting that Google was developing a 'Google Wallet Card' for use wherever debit cards or ATM cards are used. While Google is planning for mobile payments to eventually become the norm, and operated with your smartphone, a credit card with an LCD and touch could be a stop-gap until such payments are the norm.